ASOS just became the most desirable company to work for in the UK, according to a LinkedIn study. The company had a strong sales performance in 2017, increased its headcount by 30%, and is looking to hire 1,00 new employees this year. It was closely followed by the BBC. You can see the full top 20 list below. 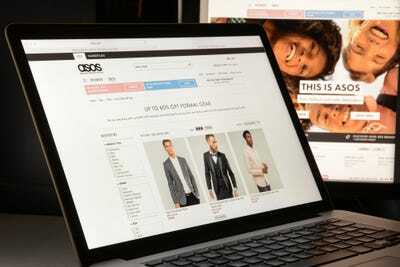 Online retailer ASOS has been named the most popular company to work for in the UK for the first time, according to LinkedIn’s annual Top Companies list. The study looked at which organisations Brits would most like to work for based on “the billions of actions taken by LinkedIn members” across four main pillars: Interest in the company, engagement with the company’s employees, job demand, and employee retention. The analysis was only run on companies with over 500 employees. ASOS took the top spot partly thanks to its strong performance in 2017 – in the last four months sales were up 30% – and its increased headcount, which also went up by 30% last year. The company looking to hire 1,000 more people in 2018. Employees also enjoy “long service awards” which vary depending on how long they spend at the company. The awards can range from getting a product on the site named after them to a financial reward or extra time off each year. “Our ASOSers live and breathe our values of authenticity, creativity, and bravery in everything they do,” said Holly Middlemiss, Talent Brand & Engagement Partner at ASOS. “It’s equally important for us to reflect these through our employer brand, bringing to life our unique culture internally and externally. At ASOS we do things not just to simply tick a box – rather, we genuinely care, we want to do the right thing and see the value in doing so. Despite its gender pay gap issues, ASOS was closely followed by BBC in second place, in part thanks to the number of awards it won last year – it took home a record number of BAFTAs in 2017. Some 13 of the top 20 were newcomers to the list this year, including Apple, JP Morgan, and McKinsey & Company.